Today I’m happy to introduce Jared Burkholder, a fellow “Pietist schoolman” who will be blogging here every other Friday! 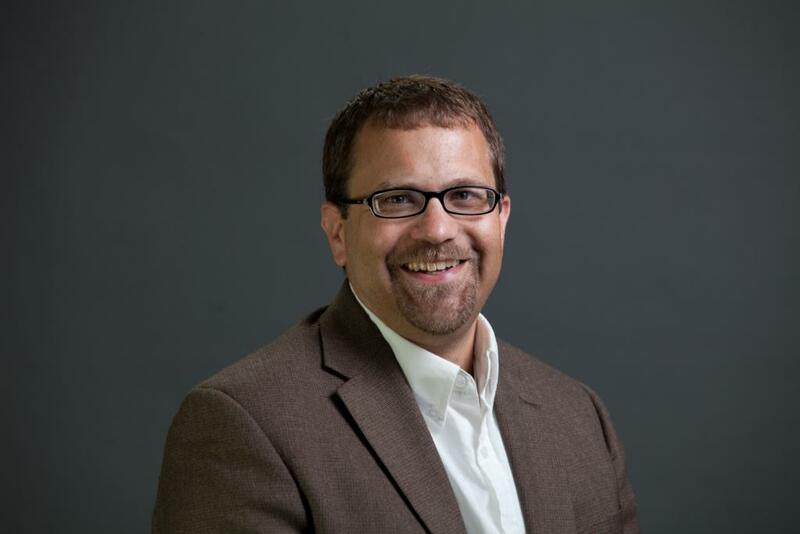 Jared is Associate Professor of History at Grace College and Seminary in Winona Lake, Indiana, where he also chairs the History and Political Science department and directs the Office of Faith, Learning, and Scholarship. He holds a PhD in American religious history from the University of Iowa, where he wrote his dissertation on “Disenfranchised Awakeners: Anglo-Moravians, Religious Competition, and Evangelical Identity in the Mid-Atlantic Colonies.” Religion in colonial America and the history of Moravianism remain primary interests of Jared’s, though here you can also expect him to write posts on Pietism (of course! ), as well as evangelicalism and Anabaptism, the two traditions featured in last year’s The Activist Impulse, which he edited with David Cramer. Where are you originally from? Compare and contrast to lovely Winona Lake, Indiana. I hail from Pennsylvania (as does my wife, Connie), a state that has a colonial history of harboring religious radicals and dissenters. My family has Mennonite roots, although my upbringing was more evangelical than Anabaptist. In many ways, Northeast Indiana is very similar to Pennsylvania. This is true for the climate. But this region was a destination point for many Brethren and Mennonite families as they migrated west during the 19th century, and so the religious culture here is very similar to Pennsylvania “Dutch Country.” I spent a short stint in South Dakota, where many people had actual Dutch names, and most had never heard of “Burkholder,” let alone knew how it was spelled. So it’s nice to be here where the only question I get is, “Is that spelled with an ‘o’ or a ‘u’?” Rather than students with last names that begin with “Vander,” I have the more familiar Miller, Swartz, and Yoder. You completed your doctorate at the University of Iowa in 2007… Did the joy of becoming Dr. Burkholder ease the pain of having lost Floyd of Rosedale to the University of Minnesota Golden Gophers the previous fall? Floyd who?? (My wife’s the football fan of the family!) Actually, we still get to an Iowa football game from time to time. Go Hawks! What’s your favorite course, topic, question, book, etc. to teach undergraduates? That would have to be my “Religion in American History” course, where I focus a lot on religious outliers and “alternative” religious movements. I blame my PhD advisor, T. Dwight Bozeman, for this interest in religious exotica, since his own courses on the topic were among my favorite. I also enjoy teaching a class called “Islam, Politics, and the Middle East.” I’m no specialist in this, but this was a secondary area of focus during my graduate work and I find that teaching this course allows for great class discussions over current events, foreign policy, and the intersection of religion and politics. Since most of my students are conservative evangelicals, it also gives me a chance to help them wrestle with how Christians should feel about and respond to Muslims as our cultural “other.” I have them read Tommy Kidd’s book, American Christians and Islam: Evangelical Culture and Muslims from the Colonial Period to the Age of Terrorism. In the introduction to The Activist Impulse, you and David express the “hope that these essays will offer a glimpse into the richness of Kingdom living that is at once irreducibly evangelical and unabashedly Anabaptist.” For each — evangelicalism and Anabaptism — who or what would you point to as presenting the tradition at its irreducible or unabashed best? This is a good question. And I must credit David with this line. I think many readers latched on to this sentence and assumed the purpose of the book was to argue for some ultimate compatibility between Anabaptism and evangelicalism, thereby minimizing the tensions that have existed between the two movements. Although David and I think it’s possible, and even God-honoring, to be both Anabaptist and evangelical, our purpose was not to argue they are compatible in every way. In fact, while they might share an “activist impulse,” many of the essays in the book highlight historical tensions and dilemmas that affected individuals and groups who walked the middle ground between these two movements or were somehow connected to both. As for Anabaptism, I would say that its version of “two-kingdom” theology resonates with me and is the essential focus that it brings to the table. The best read on this might be Donald Kraybill’s Upside Down Kingdom. I would also point readers to Stuart Murray’s The Naked Anabaptist. (A summative interview with Murray can be found here.) Many times Christians, especially evangelicals, assume that their job is to clamor to get at the levers of powers in order to control our culture, Christianize it, and mandate some particular Christian agenda. Yet Anabaptism argues that real reform takes place through hands-on service and ministry that fosters justice, human dignity, and charity, not legislation or coercion. I embraced my Anabaptist heritage during the George W. Bush years. I credit “W” for helping me find my way out of the evangelical Right. I became uneasy with his foreign policy and the way my fellow evangelicals sold their souls to the Republican Party. True or false: Blogging is a form of scholarship. Well, it depends, because of course there’s plenty of ranting in the blogosphere! But when it’s done well, I certainly think it can be considered a form of “soft” scholarship. It often involves engaging one’s discipline, building professional networks, and the “comments” box even offer an avenue for a measure of peer review. (Even if it’s not always irenic!) Examples of blogging done well would include The Pietist Schoolman as well as others, such as John Fea’s The Way of Improvement Leads Home. I have found that to do it well takes a ton of time and creative energy — just like other forms of scholarship. Blogs are difficult to maintain and our daily busyness tends to crowd out contemplative expression. I’m also an introvert, as well as a very slow writer who tends to labor over everything that has my name attached to it. But I admire (and admittedly envy) those who seem to do it effortlessly and make a genuine contributions to scholarship through their online presence. Besides yourself, which Jared has done most to distinguish that proud name: Vikings defensive end Jared Allen, enigmatic actor Jared Leto, popular science writer Jared Diamond, or Subway shill Jared Fogle? Look for Jared’s debut post next Friday! How Many Christians Are Martyred Each Year? Excellent news–I’m looking forward to your posts! I’m happy to take the blame . . . or, um . . . credit for that line! My vote for an “irreducibly evangelical and unabashedly Anabaptist” is Jared Burkholder!